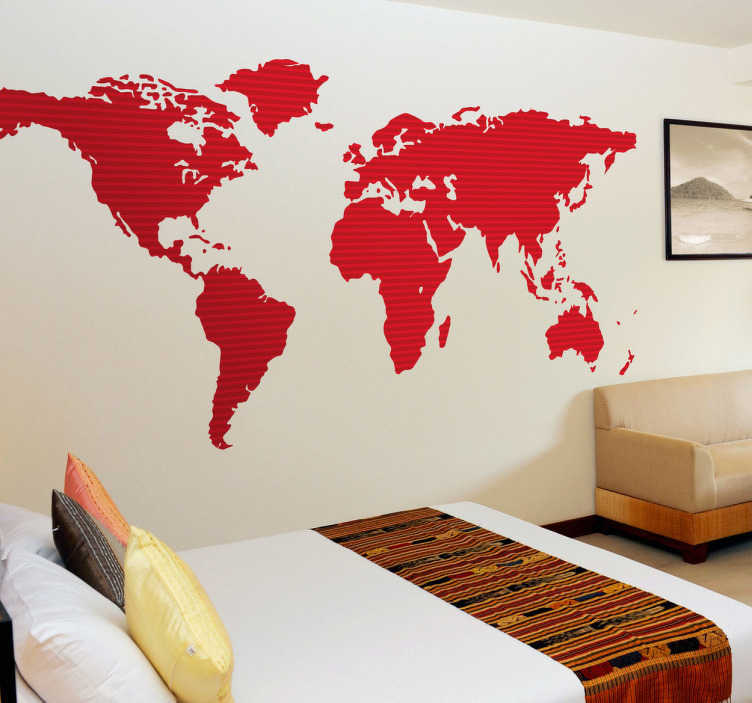 A red world map wall sticker from our collection of red wall stickers. Make your bedroom wall the center of attention with this design. Do you like travelling? If yes, then this is the ideal decal to decorate your home. A stylish and sophisticated wall decoration. It’s time to paint the town, nay the world red. If there ever was a “versatile” sticker, it has to be this one. Ideal for your bedroom, living room, wardrobe, child’s room, office and boardroom, this wall decal can be applied just about anywhere without looking weird or out of place. Add some colour and personality to your home decor with this adhesive made of the best-quality vinyl. The sticker is available in many sizes for a more customized appearance. Easy to apply and leaves no residue upon removal. Order now and reinvent your walls.